She also has an online store called Preppers Market Dot Com and an online store called Cheap Skates Guide To The Galaxy Dot Com, currently working on one site for Digital Publishing and Daisy Luther Dot Com all of these sites are cleverly orchestrated to concur with each other and keep the traffic flowing simultaneously with each other. In this inspirational episode of The Blog Chronicles, we will learn from Daisy Luther that having a thick skin in the blogging world and not particularly caring what people say or think is a good attitude to have, especially when you’re a bit of a controversial blogger and have some strong opinions on some really bizarre topics. 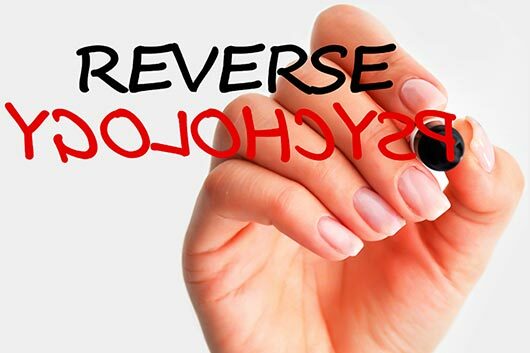 *How in reverse psychology her dying father said something to her that made her life turn around and she did what she was purposed to do instead of making unfruitful decisions. 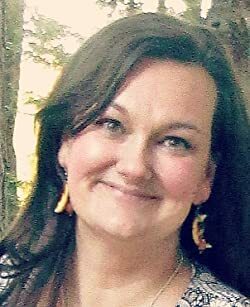 *Because Daisy decided to become a blogger, she left her daytime job, put her daughter through homeschool, traveled around the U.S and started her own online business. *How blogging gave her the freedom to fulfill her dream of writing. *How to monetize your online business wisely. *How uncomplicated it is to set up your blog using WordPress. *How blogging current events keep her content fresh and traffic flowing. 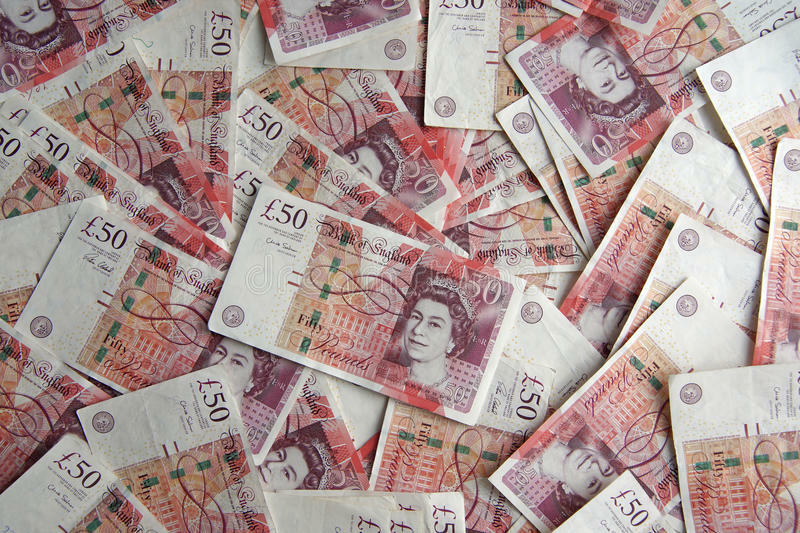 *How Daisy has created a stream of income from different sources online. *What two skills should you really need to get the maximum results from your blog. *Where to follow Daisy Luther on social media and more about her books you can find on Amazon. *How you can start your own blog in fifteen minutes with Build Your Own Blog Dot Net. And so much more you can learn from this courageous blogger who went from zero to hero by listening to her inner voice and pursing what she loves most – writing! 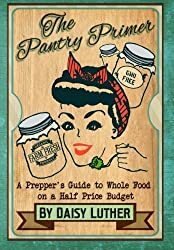 Join me Matthew ‘Kaboomis’ Loomis, as I sit down and chat with Daisy Luther The Prepper Blogger. Enjoy! Please leave any comments you may have in the Comment Box below and be sure to check out The Show Notes for all the links mentioned in the podcast. Matthew K Loomis: Hi Daisy. Matthew K Loomis: Now when somebody asks you what you do for a living . Daisy Luther: Well you know, that’s a tricky one. I am an – EMERGENCY PREPAREDNESS AND SURVIVAL BLOGGER. Matthew K Loomis: Much easier that way, right? Daisy Luther: It really is. How Many Websites Do You Have Currently? Matthew K Loomis: Let’s take a look at what you’re doing here. You have how many websites? Daisy Luther: Oh my gosh! I think five or six. Matthew K Loomis: Oh wow! Let’s Take A Look At Your Websites. I have taken a look at The Organic Prepper. Then you have Preppers Daily News. Which is mostly just a traffic vehicle for The Organic Prepper. And then I have The Lost Art Of Blogging Dot Com which is blogging about blogging. Then I have an online store called Preppers Market. I have a store called, Cheapskate’s Guide To The Galaxy. And I’m working on one for digital publishing. 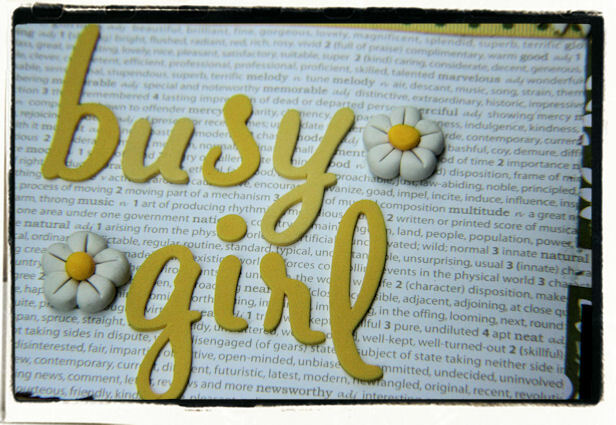 You’re really one busy girl! Daisy Luther: Well you know most of these things one feeds into the other. So really what I’m trying to create is a network, so that if interest falls back in one of the topics, I’ve still got the others. Matthew K Loomis: That’s really a smart thing to do. We’ll talk a little more about that. Do you also have Daisy Luther Dot Com? Daisy Luther: I do I do. It’s not active right now. It is going to soon be my publishing company website. I heard in a previous interview that you did that, you see that site as where you can give your opinions on everything. Daisy Luther: Yes, and that is what I started it for. But then, I was really splitting my efforts way too much, between The Organic Prepper and that website. So I just moved most of that content over to The Organic Prepper and they can just deal with my opinions if they don’t like it they can skip to the next article. Matthew K Loomis: Always a good attitude to have in the blogging world. You’ve got to have a thick skin, right? Daisy Luther: Oh, you really do. People are very rude and insulting online. They say a million things they’d never say to your face. Well, at least I don’t think they would. You really have to develop an attitude where that really just rolls off of you or you’re not going to last very long. ‘Water off of a duck back,’ something like that. Matthew K Loomis: let’s get on with it. The first part of the show, what I like to do is get into the guest personal story. Then after that in the second half, we’ll find out what you know and talk a little bit about things that you can teach us. As new bloggers, a lot of new bloggers listen to this and actually so do a lot of other bloggers and there are quiet a few that are new to blogging. Let’s go into your story a little bit because it’s very inspiring. Now, I’m curious though, first of all, how did you get interested in the Prepper niche? That will probably tie into your story. Daisy Luther: Well, basically abject poverty. My first child was born, my husband lost his job when she was just a couple of months old. We had absolutely no money coming in at all. We had a whole bunch of bagels in our freezer that I’d gotten on sale and some peanut butter and a few things of broccoli coming up in the garden. That was literally all we had and we had no money to buy more. You have this brand new baby that you are absolutely responsible for and no food in the house. The money we saved was for formula and diapers and that type of thing. So that made a huge impression on me and I never wanted to be in that position again. Something that a lot of people misunderstand about the survival niche is that the most likely disaster that is going to happen to you is losing a stream of income or getting horribly into debt, is money problems, and that can happen to any of us at any time. How Did Blogging Save You From Such Dire Circumstances? 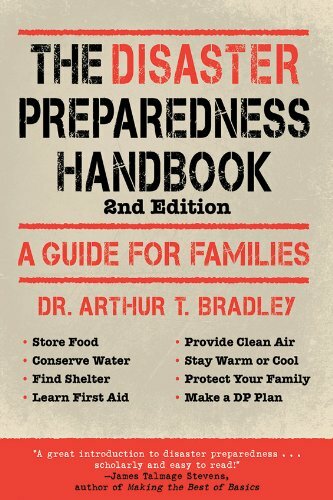 How does the Prepper niche so to speak, save you or bail you out? Daisy Luther: Well, if you are involved in that. Then you’ve got a pretty good stock pile of things like food, toilet paper, paper towels. It’s like all of your basic necessities you just tend to have on hand. At least a few months worth. So later in life when I got laid off, (at this point I was a single parent with two children) when I got laid off I with the small amount of money that I had to buy groceries, or paper towels or things like that. I was able to use it all to get my mortgage paid and keep my car payment up and to pay insurance. That was really important as a single parent. That was the best insurance policy I could have had. So let’s go back a little bit too, you were one time an office manager, right? I managed an automotive shop. So like, sixteen mechanics and me, It was a lot of fun! Matthew K Loomis: Oh wow. Okay. It’s my understanding that, at first you loved that job, but then you grew to despise it over the years. I really did, because it seemed so trivial, the things that people would complain about. I’ll never forget, this was sort of a breaking point for me. 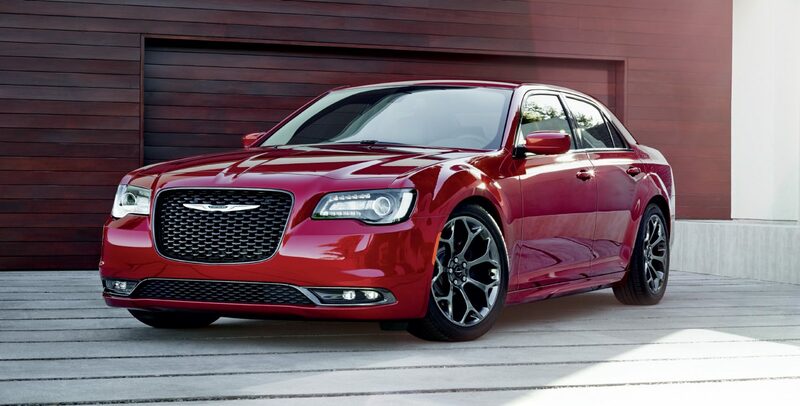 There is a man who had a brand new Chrysler 300c. And his auto-up and auto-down buttons didn’t work on his car and he had to pull the button up to make the window go up, so he started demanding a rental car, and so I said, ‘I can’t give you a rental car, it’s still drive-able. So I got in trouble for that and they gave him a rental car and kissed his booty. And that was when I really thought of getting out of it. But, I was in debt, my dad was sick. Oh, there’s just so much going on that I just could not leave at that time. But that was when the dream began! Matthew K Loomis: You mentioned your dad being sick. And it was very hurtful at the time, he was literally on his deathbed. And man, that hurt my feelings. I was so upset that he had thought that about me. At the time, of course, we had funerals to deal with and all sorts of other stuff, I did not take action immediately, but that thought never left my mind. So later, I was given the option to take a payout or get laid off permanently somewhere down the road. I had those words kind of echoing in my brain and so I took the payoff and left my job and I had decided that I had enough money if I’m super cheap to survive for one year. ‘I’m just going to go for it!’ And that’s what I did. Matthew K Loomis: You know, as painful as that moment was with your dad? I think that was actually pretty ingenious on his part. It was because he knew I didn’t want to let him down, we were very very close. And so I know that he would be pleased that the last bit of his reverse psychology, his last minute of reverse psychology and dad and manipulation worked very well. Matthew K Loomis: I think it’s great. Personally, I think it’s good to challenge our kids sometimes. So Daisy, as this lifestyle went on and you started to get into it, one of the benefits I think, was that you were able to homeschool your daughter. Daisy Luther: Yes, I was. My youngest daughter never really thrived in the public schools’ system. My eldest daughter did great she won all sorts of scholarships. My youngest daughter hated every second of it. She’s a very creative girl and I am very independent and I felt like the school system was squelching the things that made her special. So I was delighted that I was able to be at home with her and let her quit public school and do homeschool. We did more of a homeschool more than following a curriculum for the first year. Matthew K Loomis: So it’s enabled you to have more time to do that. Daisy Luther: Not only that. Her last semester of ‘high school,’ we took a road trip of three months and drove around the perimeter of the United States. We visited all sorts of historical places, did geography, did budgeting, did a lot of things that they don’t do in public schools that really got her off to a great start for a semi-adult life. Because she just flew through everything when she was able to do it at her own pace. And that road trip really says it all about being self-employed having a blog and doing that for a living, because I was just able to pick up and go for three months and educate my kids hands on. She can navigate with a paper map, which a lot of kids these days can’t do. She navigated for the whole trip, planned the budget for the whole trip and handled all the money for the trip. We were gone for three months. It was fantastic! 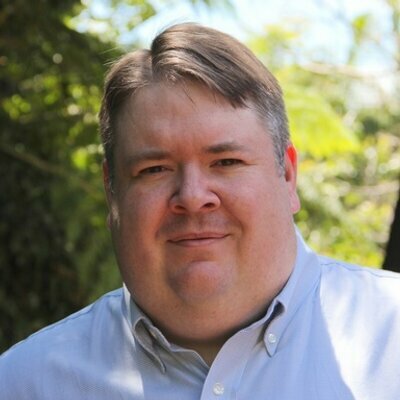 Matthew K Loomis: Man, that sounds like an awesome trip. Daisy Luther: Oh we had so much fun! Matthew K Loomis: You guys will never forget that. Matthew K Loomis: And the blogging lifestyle let you do that. We couldn’t have done it any other way. Okay Daisy, so here we are in 2018 and your income is all online based. Would You Be Able To Go On with Your Business, Say If The Internet Crashed? Matthew K Loomis: Let me ask you this. If the internet crashed for whatever reason. Can you honestly say that you feel prepared to survive a scenario like that? I’d be screwed if I still had to make the same kind of money that I have to make now. Daisy Luther: Like if it were some systemic breakdown of society. Like I write now, then I’d be fine. Because at that point currency has no value, but because most of these things currency does have a value, I’d be in huge trouble, my entire business is online. Matthew K Loomis: You’re saying, like if it was just a power grid. But everything else was functioning. Matthew K Loomis: Yeah, that makes a little more sense. Let me ask you this, how long have you been blogging? Daisy Luther: I guess about five-and-a-half, six years. How Have Your Circumstances Changed Ever Since You Started Blogging? So how has blogging changed your life? Daisy Luther: Well first of all. It made me a much better writer. Because the more often you write, the faster you get and the more efficient you get. And really, the better you get. So there’s that. I’m a better writer than I was before. I can sit down, I can knock out a fifty-thousand-word book in a week or less. Because I write all the time, I write about a hundred thousand words a week. Then there’s the fact I have so much independence now, I can move anywhere. We can be gypsies and move all over the place, as my daughter pursues her higher education. It’s just wonderful to have that freedom! Plus, I really don’t like dealing with people face-to-face in public situations anymore. I have lost all tolerance for that kind of thing. So it would really be a sad day if I had to go back into the workforce. You and I are probably hopeless at this point. Matthew K Loomis: I’m glad you mentioned the writing part of the whole thing. Because we’re going to talk a little bit about writing here in a few minutes. This is where we find out what we can learn from you about blogging and solopreneurship. So lets dive into the weave and the details of what you’re doing. I recommend it for pretty much everybody. Because it’s where all the plugins are. Matthew K Loomis: So you must be a fan of WordPress. It’s easy to use, I’m not an extremely technical person. So between WordPress and Thrive themes with all their shorts codes that are already there, I’m able to do pretty much whatever I want. Matthew K Loomis: Do you find that there are a good amount of custom themes for The Prepper niche? 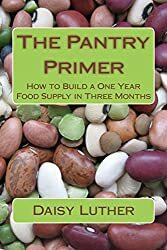 Daisy Luther: You know, The Prepper niche isn’t that much different from any other niche. It’s all information no matter what niche you’re in. So I just use a very basic magazine theme for my main website and that has been perfectly fine. Matthew K Loomis: Yeah, I would say you use a magazine theme. I was noticing The Prepper Daily News, I think it’s called. That ones called Drudge, so it’s kind of a knock-off of Drudge Report and you can just buy it. It’s super easy to use, you just put in your headline, you put in your link and hit enter and that basically it. Matthew K Loomis: Very simple. Matthew K Loomis: You have some really great content on. You got really nice headlines. 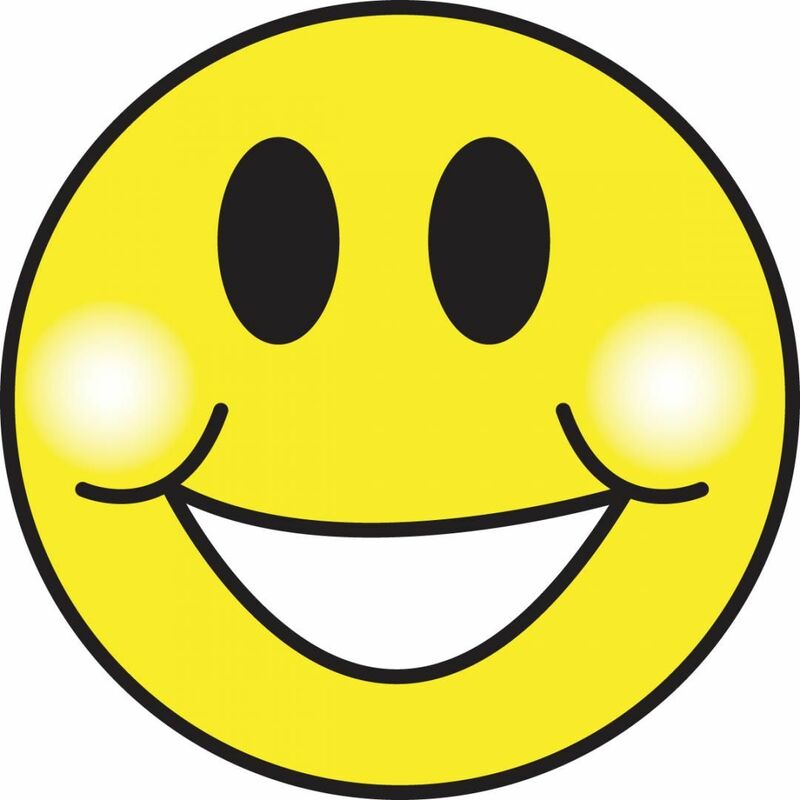 You’re good at taking a current new story and providing a Prepper angle to the story, well-written posts. I’m just curious Daisy, are you providing all the content creation yourself? Daisy Luther: I was up until January this year. So I have brought on some freelance writers, who are helping me out with the additional content. But I usually post one article a day myself. Do You Schedule Your Content With An Editorial Calendar? Matthew K Loomis: It looks really great. Now, do you use an editorial calendar? 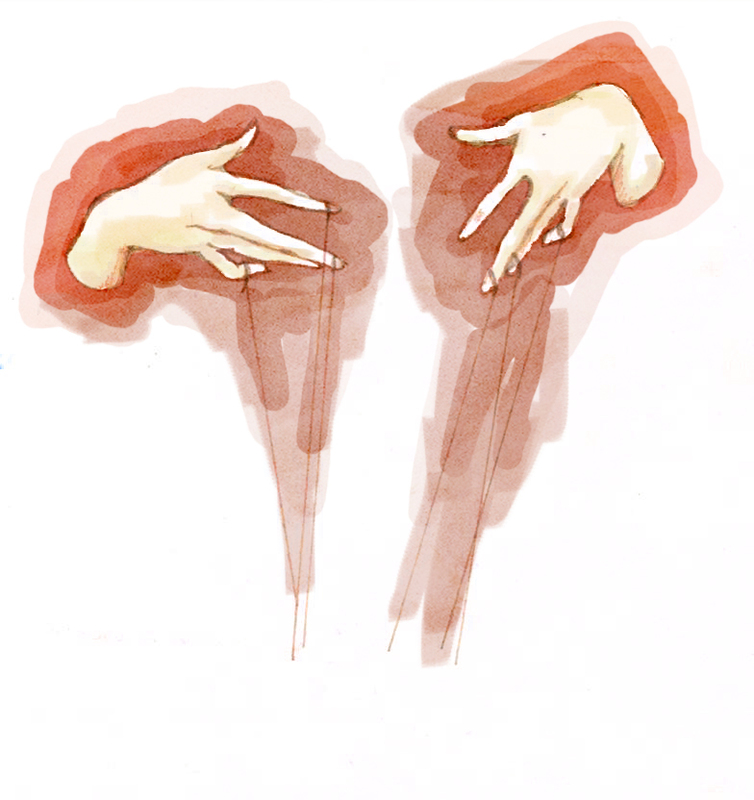 I’ve tried that a few times and I just go off on these tangents. I use a lot of current events on my website. I mean, and I do have evergreen content, but I’ve found that using current events bring people back every single day, because they want to know what my take on it is. They want to know how that event might affect them personally. So with something like that, you couldn’t really use an editorial calendar because you never really know whats going to happen. If I have an idea, I’d put it in WordPress immediately in a draft if I’ve got the headline. Or even just a link that inspires me and I just put a few words as a headline and I save it in Draft. So then if there’s nothing going on and I need to get some content up there, I just go through my drafts and I can usually find something. Matthew K Loomis: Ah, that’s very good. So I was going to ask you how you come up with your content ideas? So it sounds like it’s very newsworthy based, yet you also do some evergreen topics as well. And that just goes right along with what I said earlier about writing. If you write every day and you’re constantly on the outlook for new subjects, everything becomes a subject. 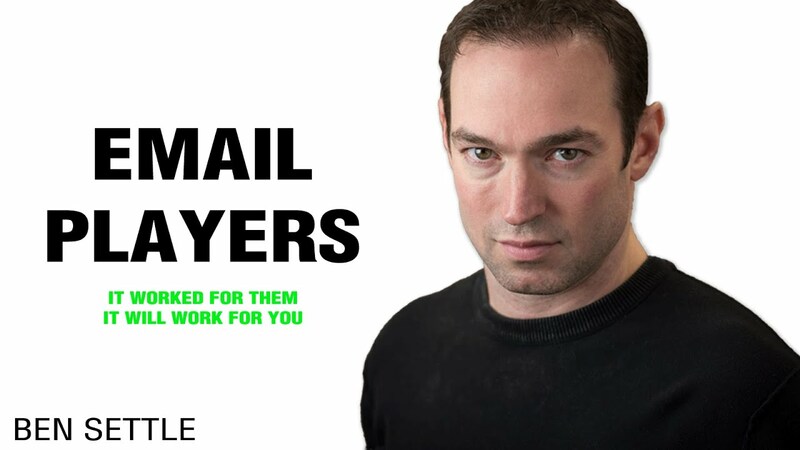 It’s kind of like, okay you know email marketers like Ben Settle. Who just uses the things that happen every day and things he see’s online. He uses those as his topics, I do the same kind of thing. Matthew K Loomis: Yeah, he’s good at that. And he also would occasionally use a thing like a movie or something. Matthew K Loomis: Character, you know. So for those who want to improve their writing skills. What do you recommend that they can get better? You know, start watching your feedback when you post on your blog. If you don’t have Google Analytics, you’re really not serious about it. So you have to hook up Google Analytics. And when you do write, see what gets the most hits in your niche, see what people are responding to. See what people are commenting on, and that feedback will help you be a better writer. Some of it is pretty mean, but you have to drill down to the point that they’re making. If they say that you ramble a lot? You need to look at it. Do I really ramble a lot? Because you might. If they say that you are not putting in enough proof about what you’re saying, then maybe you need to add more links to support what you’re saying. And you know putting in links that have a new website, just add a new tab, and that’s a great way to increase your SEO. Matthew K Loomis: I always have them open in a new tab. Daisy Luther: A lot of people are afraid to put links to other websites. But, it will improve your SEO much faster than just linking to yourself. Matthew K Loomis: Yeah, absolutely. You want outbound and inbound. Speaking of SEO, how important is that? Daisy Luther: I’m horrible at it. Most of mine has just been pure luck. I have picked up a few things from plug-ins like Social Warfare and Yoast. Both of those has helped me a lot with SEO. Kind of helped me keep on target and drill down to a keyword. But honestly, it’s better to write for people than for Google. Just think about your keyword. Make sure that the keyword is something that people might actually search. Like today, my keyword was Sweden because of somethings going on there. Make sure you have that first word in your headline and in your first paragraph and then a couple of more times, and your golden. That’s really the extent of SEO that I do. So your keyword recently was Sweden. Is there a global audience for The Prepper niche? I have readers from all over the world. I think, people tend to think of stereotype, it’s baba in America or something. Daisy Luther: Yeah. Crazy Americans in their bunkers. Matthew K Loomis: Yeah, right. People in Europe, India, you find them all over the world. I mean, look at the state of the world right now. I can’t help them much, unfortunately, their situation is so dire, they are way past anything that I could suggest. But, they still do come to the website looking for answers. How Are You Earning Revenue From Your Online Businesses? Let’s talk a minute about economics. One of the things that you do is help people survive and you have your businesses all online. Can you share with us a little bit about how you’re monetized? Just like everything else, you’ve got to have multiple streams of income. Multiple ways people get to your blog. It just makes it easier when I keep a list of these things. So I monetize in a lot of different ways. The first thing I do is I monetize my traffic. Because some of my readers really don’t have any money. They’re not going to be buying my products, so I monetize my traffic. I do that using ad networks. If you’re new you can start off by using Google AdSense. When you have more traffic, you can use something like AdThrive. Or one of the other big networks. I really love AdThrive, they …, they’re attentive, they’re great. Matthew K Loomis: Is AdThrive something that you can just start off the bat. Or do you need a certain amount of traffic? Daisy Luther: You’ve got to have a hundred-thousand-hits a month. Daisy Luther: So, you’ve got to be up there a little bit to get to that one. There are other intermediate networks. So the thing I like about that is, all you have to do is produce the content and get people there. You don’t have to sell anything to them. So that is really really good. Another simple way to advertise is affiliate programs. And a lot of people knock the Amazon horrible four-percent commission, but I have made tons of money over the years from them. Now, I had made a whole lot more before they changed their commission terms. And that is another nod why their justification is so important because my income from the dropped by Forty-five-percent overnight and I was powerless to do anything. So you’ve always got to have more than one stream of income. But it’s always easy to monetize with an affiliate link for things like reviews or ‘how to’s’ for things with specific supplies checklists. Topics the readers might want to read more about after reading your article because you can send them to books. 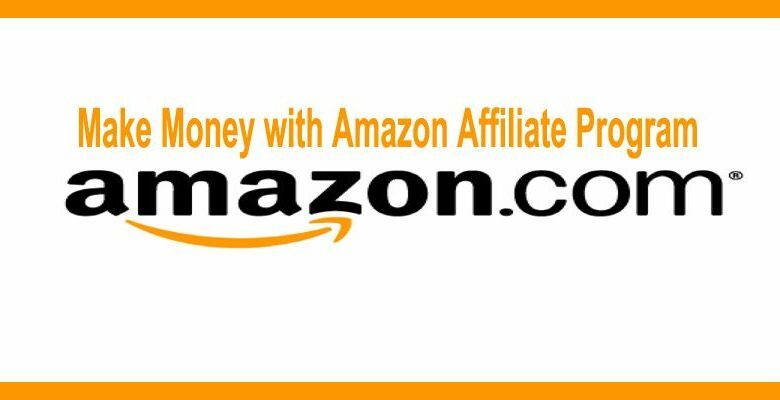 And you don’t have to limit the affiliate programs just to Amazon, lots of people in your niche will probably have affiliate products. And the good thing about that is, not only are you supporting them, you’re networking just by recommending their products. So they’ll probably scratch your back at some point. So those are the things that everybody knows about. There are other things like Banner Ads and that is something that I’m really starting to add. I haven’t done it for the longest time because it’s a pain. But I recently hire someone to handle that for me so I don’t have to talk to advertisers all the time. Once you have an audience it’s a lot easier because then you can teach classes. If you know something they want to learn, classes are a great way to monetize. 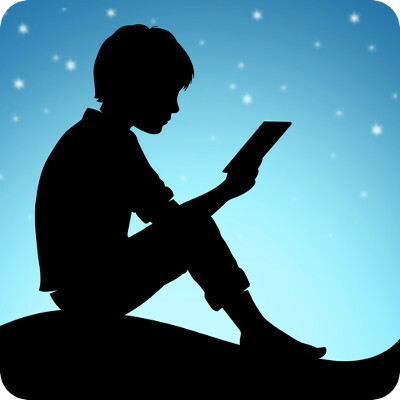 You can write books, you can put them on Kindle. You can put them in physical format, using Create Case on Amazon, I’ve done very well with that. Recently I began doing PDF’S right from my website and that’s been very lucrative. Now, depending on what your niche is, that could be a good seller. I like Dropshipping because then I don’t have to hold inventory or make a trip to the post office every day. Holding inventory can be very risky when you are just starting out because you can dump a lot of money and have a whole lot of doodles that no one wants to buy. So I fully recommend Dropshipping. I have a Shopify store where I promote products that are Dropshipped which is on a separate site to my main site and it has been pretty good. Subscription products are always good, you would love that ongoing income. So things like paid easy and boxes of physical products, physical newsletters, personal coaching. There are all sorts of prescription products that you can do. It costs you nothing all you’ve got to do is just once a week or so you’re going to get this email in your inbox and if you don’t like it, scroll on. And you know, most people are pretty cool with it, some people get made, but they’re not really the customers that I want anyway. Daisy Luther: Consultations is another possibility. I don’t really do a whole lot of that in the survival niche, I do in the blogging niche. But it’s really not very easy to do consultations in my niche because people are really private to the point of paranoia sometimes and that is something that I don’t do very often. Now, one other thing that I want to address is, this big myth that everything has to be really expensive or your not ‘quote’ valuing yourself. Nearly all my products that I sell are five dollars. Now that sounds like this rock bottom, horrifically low, ‘I should be embarrassed to put it on my website,’ amount. But, I do really well in increments of five dollars. I sell hundreds of PDF’S in a weekend at five dollars a piece. And these are things that don’t cost me anything, once I’ve got them loaded up and ready to go, it cost me absolutely nothing. So I sell loads and loads of things for five bucks. The reason that I came up with this number like I said, it’s frugality and preparedness. People don’t have or won’t spend a lot of money. But if you look at how Walmart does things, I just looked at my email one day and I’ve got thirty-thousand on an email list and about fifty-thousand in social media and I’m like, how can I get one dollar from every single one of these people every month? Now, I’m not quite there getting a dollar a month from each of those people. However, I do have a lot of people that give me five dollars a month for various products that I offer and let me tell you, that really adds up. I probably do four or five thousand dollars a month in five-dollar increments. Matthew K Loomis: Wow. Fantastic! Do you offer a return on those five-dollar products, or…? Daisy Luther: No one has ever asked for one. If they asked for one, I’d probably give it back. It’s just not worth the hassle for five-dollars. Nobody has ever asked for their money back. Matthew K Loomis: Okay, very good. So have you got into a membership site yet? Daisy Luther: I have a subscription guide. Called Cheap Skates Guide To The Galaxy and it is a five-dollar a month subscription and it’s just frugality tips that I send out every month. Matthew K Loomis: Fantastic. Very good! By the way I’m going to have links in The Show Notes to all of these things for Daisy talking about today. Which Main Skills Would A Blogger Need To Achieve The Desired Result? That was really good information Daisy, thank you for sharing that with us. Let me ask you this, from your experience, what would you say are the three most important skills a blogger needs to be successful? Daisy Luther: Well, I can think of two right off the top of my head. You’re not going to make money and be on a beach in Bali in the first two weeks that you start your website. It took me a year to make a thousand dollars a month on my website. It was my site, I had other work and it took me a year of busting my tail and putting out content all the time. So don’t start this thinking you’re going to make a thousand dollars a month in the first few months, you’re not unless you are so much better at this than I am, you’re just not. So patience is number one. I post almost every single day. I email almost every single day. I have three email lists that I send emails to every single day. People can basically set their watch by the fact that, ‘I am going to have something new for them to read, every single day.’ And so they come to my website just because they know there is going to be something new there. It also has the added benefits as I mentioned before. You become a better faster writer by writing frequently. If you just post once a week on random days here and there, people never know when you’re going to have something up there and they’re very unlikely to keep going back. You want to be their habit. You want to be their crack, so you want to be consistent. Um mm… I don’t know what number three is, I’m sorry, I’ve just got two. Well, let me ask you about personal branding. Daisy Luther: It’s pretty important. Initially, this was extremely personality based, and I mean it still is to some extent. But if at some point I want to sell the website and retire to Hawaii, which I kind of want to do, it can’t just be The Daisy Show on there. 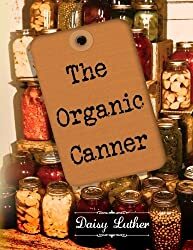 So that is why I began adding other points of view with other writers and I began focusing more on the brand The Organic Prepper, than the brand – my name. So it’s incredibly important, I use the same formats across all my websites, I use the same basic tone in all of my articles, I mean, I am the same person all the way across the internet. And I think that that has been extremely helpful. People can see an image on Pinterest and they know that it’s mine because of the fonts and the way the pictures look. Matthew K Loomis: That’s really good stuff. That reminds me, I think it was Chris Brogan who said if he had to do it all over again it would not have named it Chris Brogan Dot Com. Daisy Luther: That is the other reason I stopped using The Daisy Luther website as much because I can’t sell that, that’s me. And that is just something that is just part and parcel with me. So I’m going to move my publishing stuff on there because I’m unlikely to sell that. That’s just something that is recurring income. So if someone came to you and said, ‘I will pay you five-thousand dollars to start a new blog,’ what would you do? Daisy Luther: Well, I would talk to them about what their blog is going to be about. I find it’s really helpful when you have a specific niche and a sub-niche that I can identify as yours. So I have the prepping and survival and then I kind of have two sub-niches. I’ve got the current events, a very newsy style with commentary and then I’ve got the organic part which is leading a healthy life. Very natural products for skincare and home and things like that and good nutrition. So I just kind of tied all of that together under one thing. If you just have one thing, you are really going to run out of things to write about. I’ve got a really nice vast array of things to write about. I’ve got three overwhelming topics and then little sub-categories onto that. So to make whatever niche you’re in, you have to make your website special so that they don’t go over to the other websites. You know, if you have a cake website, what about your cake website is different? 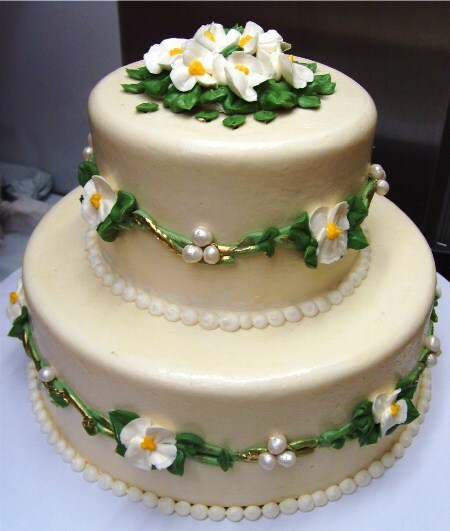 Do you just make wedding cakes, or do you make cakes with organic ingredients? Do you make cakes with no sugar and gluten and no joy? You got to go with something that makes your website special and you need to reflect that in the name. If your website name is something that people would search. I mean, I have people searching all the time for organic prepping food, so they end up on my website and this has really been helpful to me. So you want something that is searchable, not some weird random name, people are going to go, ‘what the heck is that all about? Because they don’t care enough to come to look if you haven’t made an impression on them already they don’t care enough to come and see what the heck it’s all about. Matthew K Loomis: Really really great advice Daisy. Now its time for The Fun Final Three where I throw out three random questions and you give your honest answer. Matthew K Loomis: Don’t worry, this is fun. 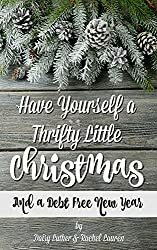 The Fun Final Three is sponsored by Build Your Own Blog Dot Net to get your blog started and to find tons of free blogging tips. Come visit Build Your Own Blog Dot Net where you can personally contact me for help. Matthew K Loomis: Alright, are you ready Daisy? Is an EMP attack likely or just a bunch of noise? Daisy Luther: It is possible. An EMP is an Electro Magnetic Pulse. It can occur if someone detonates a nuke up in the atmosphere. So there’s not going to be any fallout or anything like that but it would fry the electronics. The thing is, they only suspect it will fry the electronics, there’s no proof because they can’t do an experiment like that and actually fry the electronics. One of my good friends, Dr. Arthur T Bradley, he works at NASA. He believes it’s a possibility but we just don’t know what would be fried by it. So if you’re prepared for a power outage or you’re prepared to grow food and things like that, you’re going to be just fine if an EMP occurs. Matthew K Loomis: Very interesting. Yeah, I have my own little personal theory about this, but it’s more from a conspiratorial perspective. Daisy Luther: Well, tell me! Matthew K Loomis: Well basically when it comes to the elite or whoever is pulling the strings. My theory is that that will never happen because they don’t want people off the grid. Or they don’t want people not to be able to be tracked. So that’s just my take on it. I think it’s unlikely, but it’s close enough to the realm of possibility you should at least know a little bit about it. Matthew K Loomis: I agree. Absolutely. So let go to Number Two. Alright. 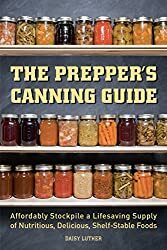 When it comes to canning food which I know you do, and you have a book about canning. You Amazon Author Page is in THE SHOW NOTES. Which food can last the longest in a jar? That, canned food only last one year. That’s the amount of time that the U.S FDA says that it is safe. Now, meat and things like that because they’re fattier it breaks down faster. I know people who have eaten jelly that has been canned for twenty-two years and they have lived to tell me about it. Things that contain met, things that are pressure canned are likely not to last quite as long. Matthew K Loomis: I haven’t really noticed it before. But when we talked about canning and then we see jars usually. I mean who can actually can if you don’t have a factory? Nothing that’s going to last for that long. Because these jars are just sealed with a little rubber gasket and I certainly would not trust that for ten years for roast beef. And I love canning, I do it all the time. It’s nice to just be able to pop open a jar and I’ve got homemade soup right there. But I don’t let it sit there, I judge my pantry by what my family would eat within a year. And when that date is coming up so I write all the dates on the top, then we dive into the canned food a little more. Matthew K Loomis: Very interesting. Good to know. My grandparents were into canning there for a while. Let us go to Number Three. 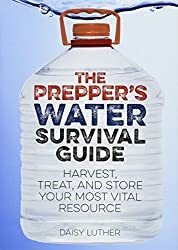 Who is someone in the Prepper Community that you admire? Daisy Luther: Oh, Mac Slavo. He has SHFT Dot Com, that website is banging. I mean, he does so well, he has so many advertisers, I have no idea how he gets them all. He has tons of traffic. I mean tons, he’s probably got triple the amount of traffic that I have. And mines really not too shabby, I mean I get twenty-thousand to ten-thousand hits a day and he gets way more than that, so I want to be him when I grow up. He was my first mentor, I used to work for him. Matthew K Loomis: Yeah, I’ll be sure to put a link in for Mac in THE SHOW NOTES, I’m not familiar with him. Daisy Luther: It’s very conspiratorial and the delicate may not want to read the comments. Matthew K Loomis: Alright, thanks for the warning. Okay Daisy, where can people follow you on Social Media? The Organic Prepper Page on Facebook. I have The Lost Art Of Blogging on Facebook. Or you can send me a Friend Request Daisy Luther on Facebook. I’m all over the place under my name. Matthew K Loomis: Alright, including Pinterest? Daisy Luther: Pinterest and Instagram. Daisy Luther: My Instagram is lame though. I really need to up my game. And once again, everything we’ve talked about today have links in The Show Notes as well as to Daisy’s social media profile. So Daisy thanks so much for coming on The Blog Chronicles today. Daisy Luther: It was a pleasure. Don’t be a hoarder. Share this article with those you love. I related to some of this like being in bad financial trouble. I also worked directly with the public about 30 years and am glad to be away from it. Not that I have made money on my blog yet. The part about needing to always be adding content I see is something I really need to work on. Glad you liked this interview. You are making progress, the results just haven’t caught up with you, yet. Keep going. Excellent interview with Daisy Luther! Very informative! She was very honest and candid. You asked her all the right questions, and she gave you all the right answers. Thank you so much!